This post was originally published on 6/30/2014. It was updated on 2/20/2018. The story of Jonah is one of the first Bible stories I learned as a child. Let’s face it, a man getting swallowed by a whale and surviving in its belly for three days makes for a pretty fantastic bedtime story. It wasn’t until I was much older that I understood the story more clearly. 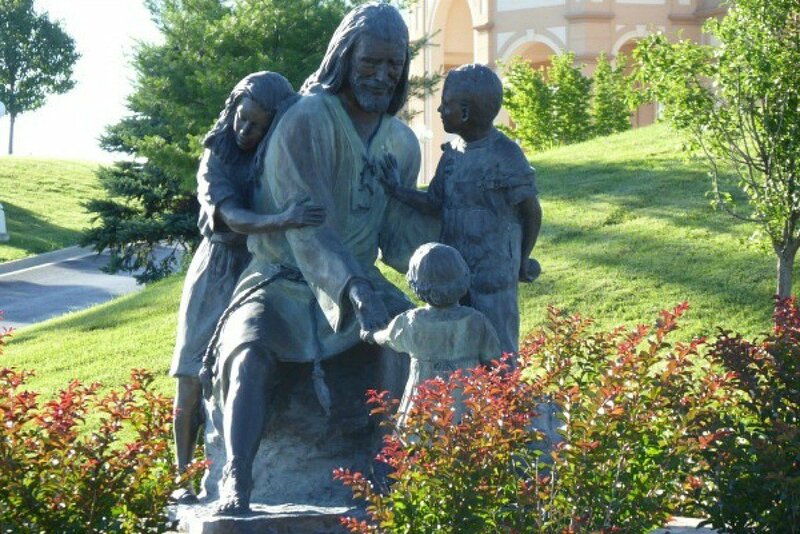 But I don’t think I ever really made the connection of Jonah to my life until the story came to life for me at the Sight and Sound Theatre in Branson, Missouri. God spoke to Jonah, commanding him to travel to the city of Nineveh to preach of repentance but the Ninevites were one of Israel’s fiercest enemies. Jonah was scared and he disobeyed. Instead, he boarded a ship to Tarshish, the opposite direction of Nineveh. When a terrible storm came upon the ship, Jonah instructed the sailors to throw him overboard, confident that he was being punished for his disobedience. But God wasn’t finished with Jonah and provided a big fish to swallow Jonah and save him from drowning. His life spared, Jonah repented and praised the Lord in the belly of the whale and in three days, the fish vomited him on to dry land. This time, he listened to the Lord and went to Nineveh to warn the occupants that in 40 days, the city would be destroyed. The Ninevites believed Jonah and repented and the city was spared. The Sight & Sound production of Jonah brings this Bible story to life. The show is based on the Biblical account, but creative liberties have been taken to develop the characters and give us a glimpse of conversations that could have taken place and events that could have transpired in the process, Jonah becomes a character we can relate to. I had extremely high expectations for this show and I was not disappointed. The production was incredible and from the moment the curtain opened, I was enthralled. The set is amazing and when Jonah enters his home and climbs the stairs to his room, the room rotates so we have a full view of Jonah. As Jonah flees from his home and from Nineveh, the set extends to the wings, fully immersing the audience. The 50-foot ship weighs over 30,000 pounds, but it seems to glide effortlessly along the stage. When the storms come up, you feel the fear of the sailors, as well as their relief and praise as the storm passes. Live animals pass not only across the stage, but through the aisles of the theater and the whale “swims” overhead to gasps of excitement from the audience. The actors are well-trained and the production is well rehearsed. If any mistakes were made in the live show we watched, neither my husband nor myself noticed. I don’t remember ever watching a play that I’ve enjoyed more. The success of the production is no accident, as it required a team of producers, directors, writers, designers, artists, engineers, animal trainers and actors almost three years to complete. Millions of people have seen the productions in both Branson, Missouri, and Lancaster, Pennsylvania. The Sight & Sound Theatre operates as a faith-based company and creates epic productions that share the love, hope, and truth of Jesus. My husband thought the show was a bit long, so keep that in mind when booking your show. It does have two acts, an intermission and twenty scenes, which may be a bit much for younger children and some adults, especially the evening performance, which might cut into bedtimes. The Branson theater offers two shows most days, one at 3:30 pm and another at 7:30 pm. The 2,000 seat theater regularly sells out, so buy your tickets in advance. Ticket prices are a bit steep, but I wouldn’t hesitate to return with my family, the show was THAT good. 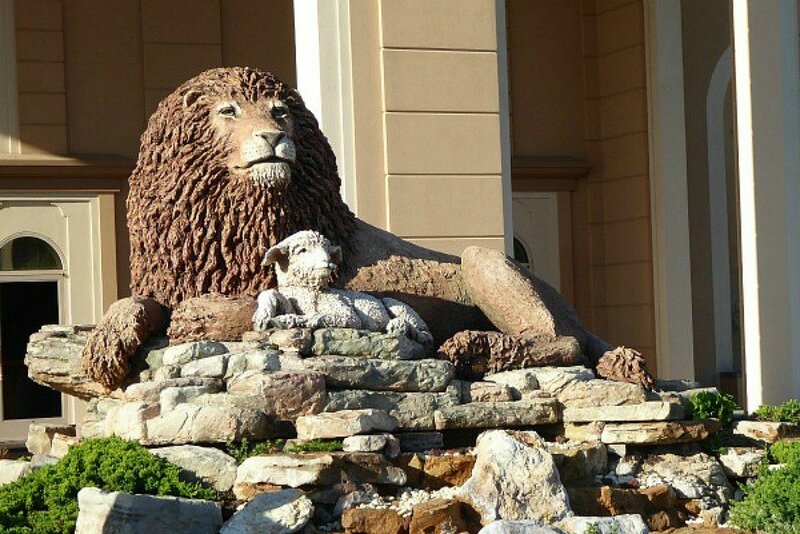 Watching Jonah at the Sight & Sound Theatre was truly my favorite experience on that trip to Branson in 2013. Since then, I have returned to watch Moses, which I enjoyed even more than Jonah if you can imagine that! On that trip, I traveled with my mom and dad. We made a lot of fun stops on the way to Branson, but I think I can safely speak for them when I say that our experience at Sight & Sound was a favorite for them too. We enjoyed the production so much that we planned a trip to the location of the original Sight & Sound Theatre in Lancaster, Pennsylvania to watch Samson. An angel of the Lord appeared to a childless couple and promises them a son who would rescue Israel from the Philistines. The angel said that the son would be named Samson and told them that Samson’s hair should never be cut and that he would be set apart for doing God’s work. God blessed Samson and as his hair grew longer, he grew stronger! He grew to be one of the strongest men in the world. But Samson also became full of pride and anger and was disobedient to God. Samson was so strong, he slew a lion with his bare hands and defeated a thousand Philistines with a donkey’s jawbone! But as strong as Samson was, he had a weakness for women, and that would be his downfall. Samson falls to temptation and loses his sight and the mighty strength God gave him. Watch as Samson battles the Philistines, and when it seems like all hope is lost, see how God shows that He can use Samson’s downfall for His glory. This inspiring story shows how God’s grace can restore us and how He can use all of us- even when we have messed up -to bring glory and honor to His name. The story of Samson will begin in Branson on March 3rd and is unlike anything you’ve seen before. Get your tickets online for this must-see production! 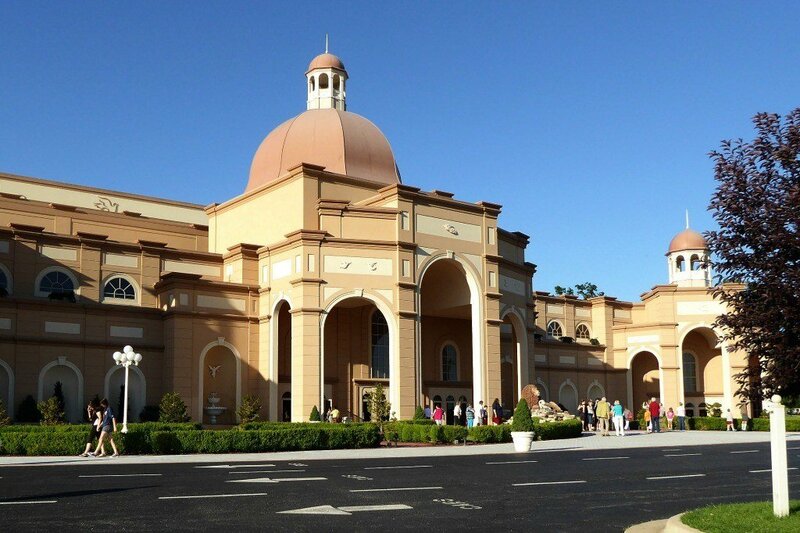 You can learn more about the Sight & Sound Theatre in Branson, Missouri at their website. You can also get a glimpse of the magnificent stage on Instagram. 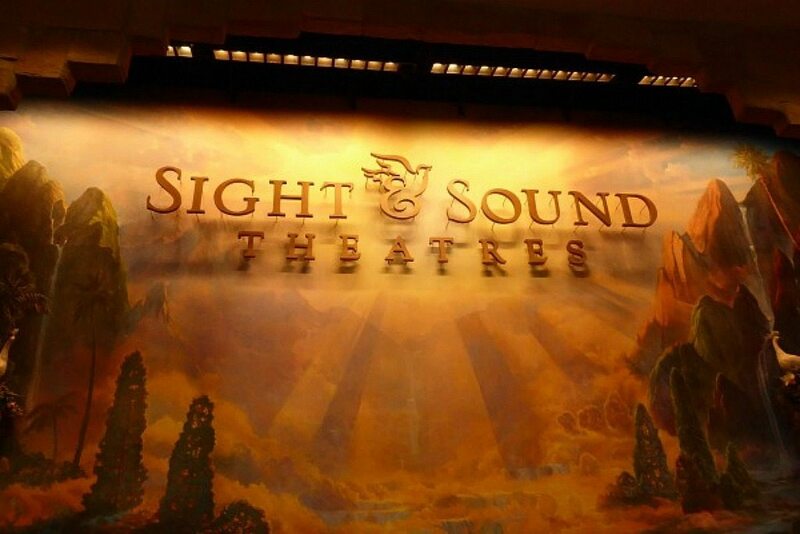 Sight and Sound Theater Ticket Prices: Check the website for current rates. You can also enhance your experience with a Behind the Scenes Tour (which I would LOVE to go on) for only $5 per person. Have you seen a Sight & Sound production? Which one and what did you think? Tickets to Jonah were provided for my husband and myself, I purchased additional tickets for Moses and Samson. All thoughts and opinions are my own.